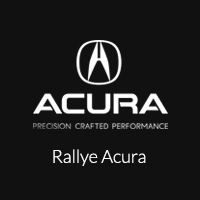 There are few better ways to enter the luxury auto world than with a certified Acura TL, and they are some of our Roslyn drivers’ favorites here at Rallye Acura. The new 2017 Acura TLX owes much of its style to two vehicles, the TSX and the TL, and we are proud to be able to offer you a limited selection of Certified Pre-Owned Acura TL sedans. The Acura CPO program includes rigorous testing to ensure vehicles are up to the standards of the Acura name and adds on additional warranty coverage, all while presenting you with an elegant luxury car at an affordable pre-owned price, because this is Rallye Acura, where it costs no more to go first class. Pre-owned vehicles have a uniqueness to them that makes it difficult to say what features you might find – it depends on the year and the upgrade packages of the original owner – but there are some common features that make a certified Acura TL a smart buy for our Port Washington and Manhasset drivers. Many modern TL models are available with either front-wheel drive of Acura’s Super Handling All-Wheel Drive for added traction and performance. Leather upholstery, heated front seating, a leather-wrapped steering wheel and other classic luxuries are standard on models like the TL, and many also include woodgrain interior trim, automatic climate control, and a premium audio system. When drivers visit Rallye Acura, they discover affordability and luxury can go hand-in-hand. Contact us today to schedule a test drive of one of our certified Acura TL models above and experience it for yourself.